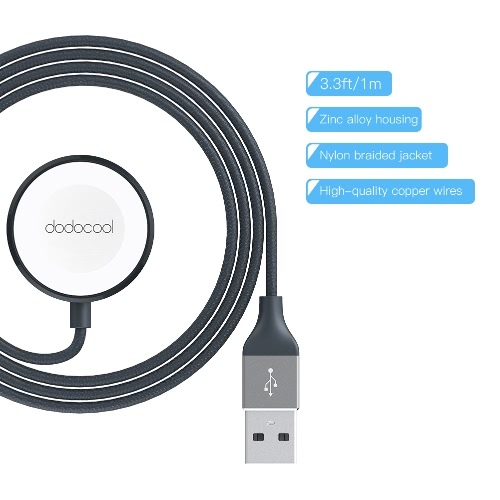 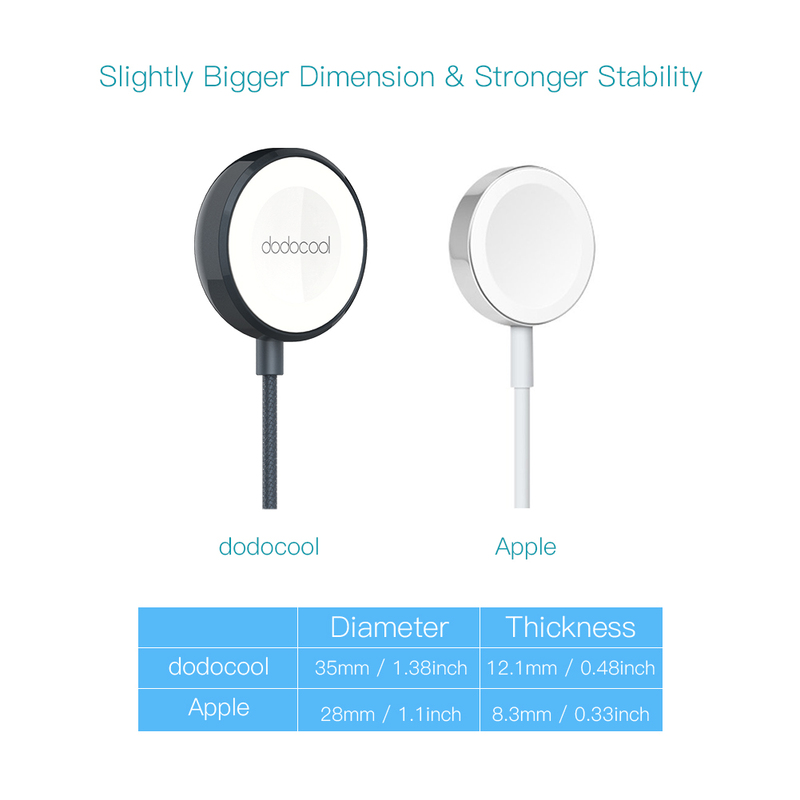 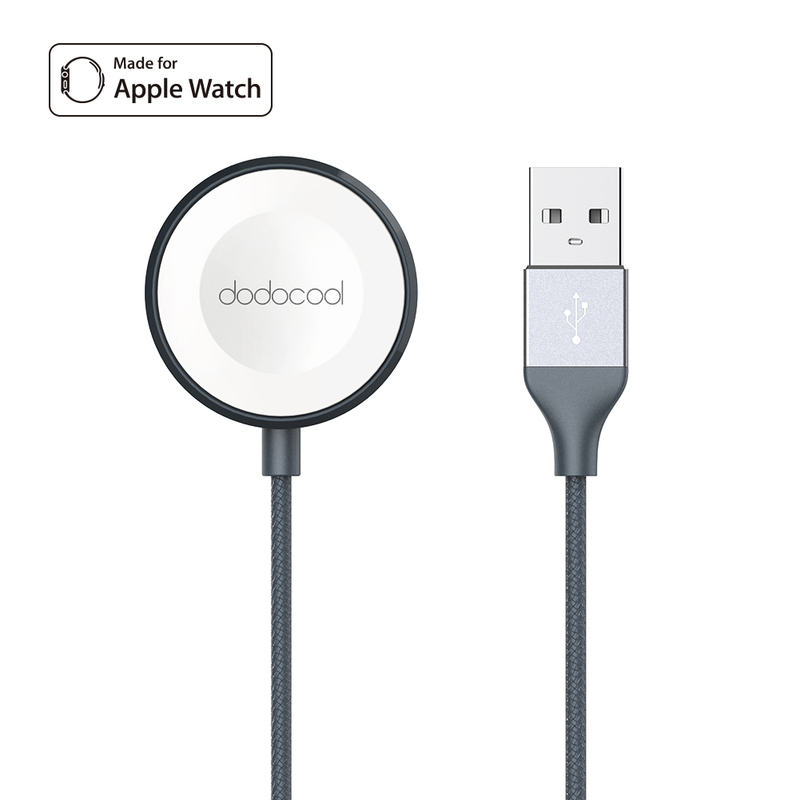 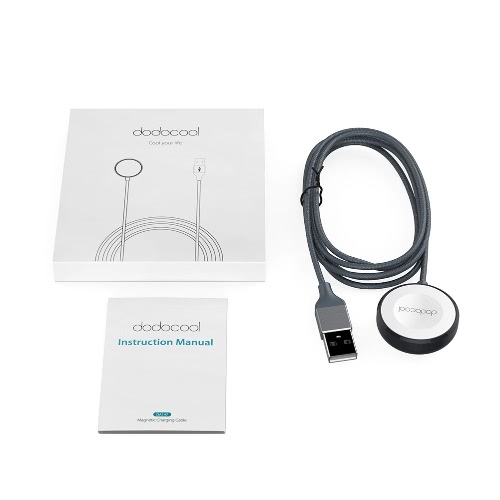 dodocool Magnetic Charging Cable for Apple Watch features a magnetic charging area and an integrated 3.3ft nylon braided USB-A power cable. It is compatible with both the 38mm and 42mm models of your Apple Watch. 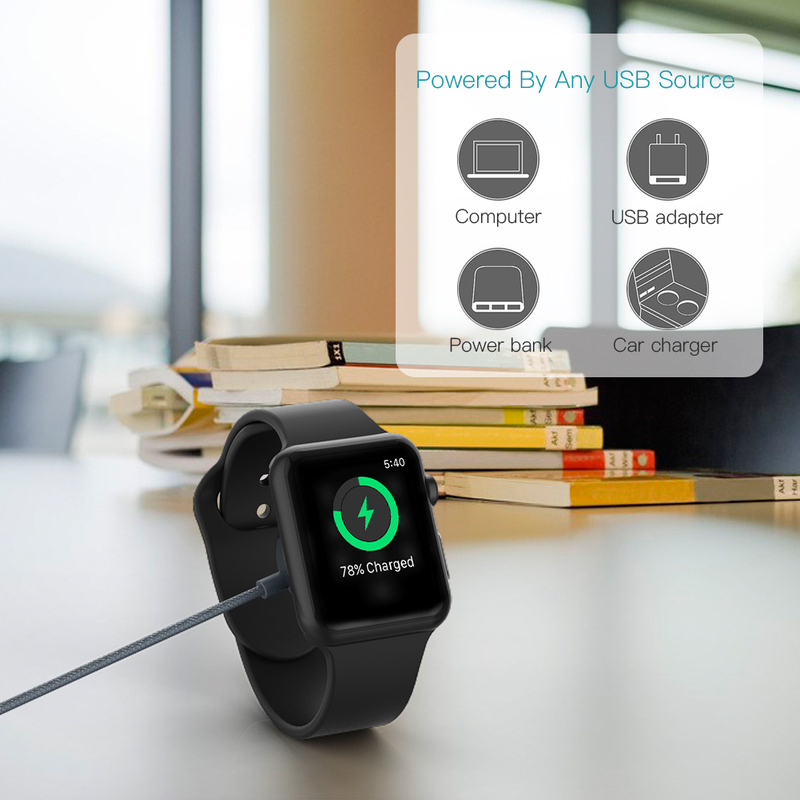 Charge your Apple Watch by connecting the integrated USB cable and your USB power adapter. 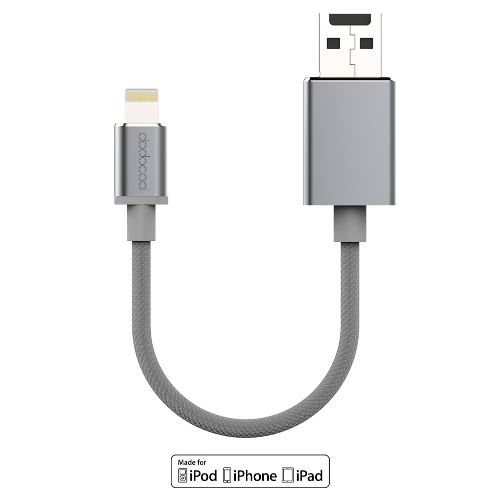 It requires no precise alignment. 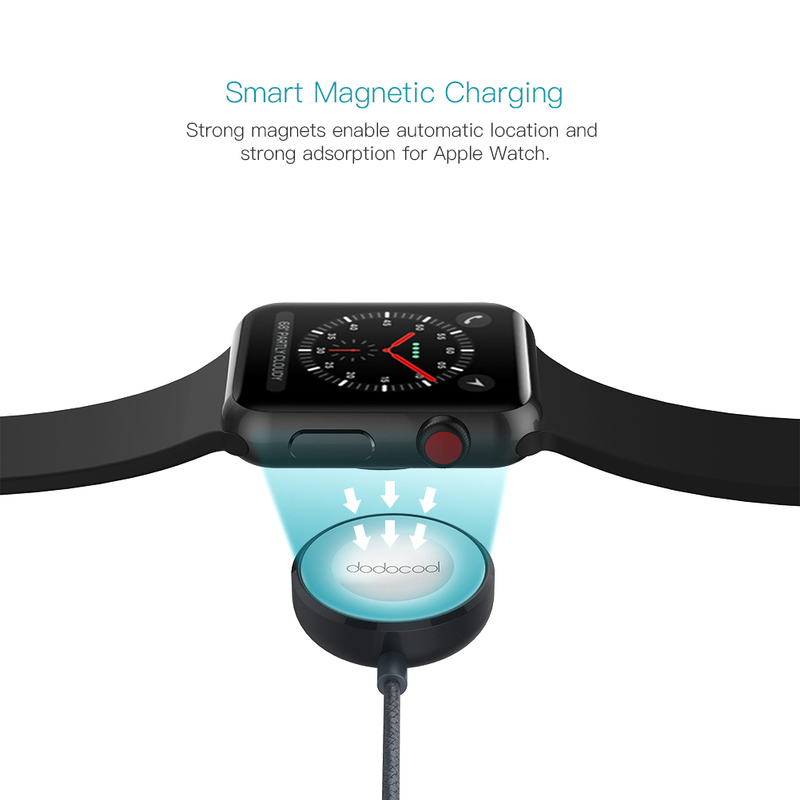 You simply hold the charging area near the back of the watch, where magnets cause it to snap into place automatically. 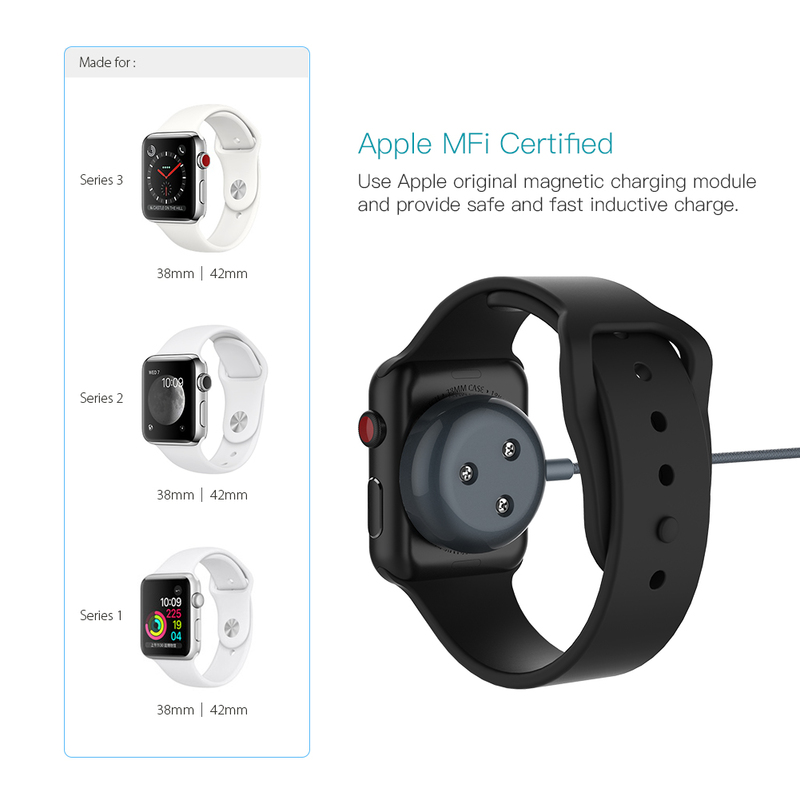 Apple MFi Certified. 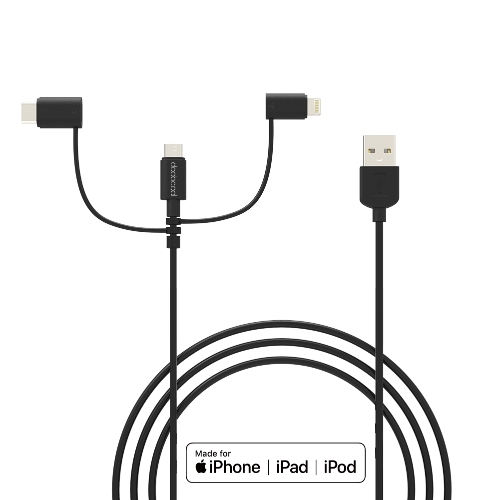 Use Apple original magnetic charging module. 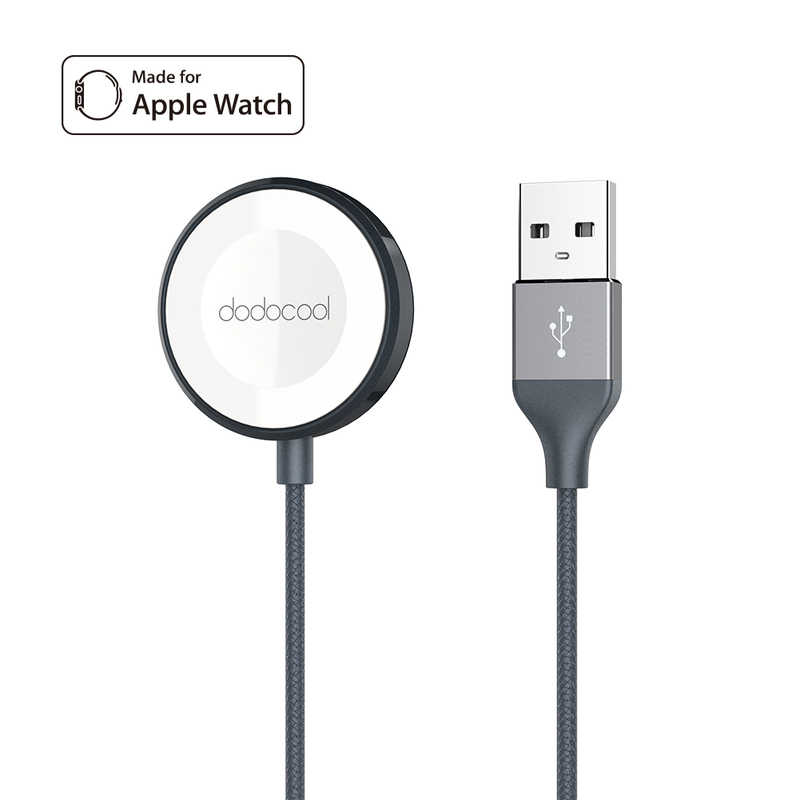 Charge both the 38mm and 42mm models of your Apple Watch Series 1, Apple Watch Series 2 and Apple Watch Series 3. 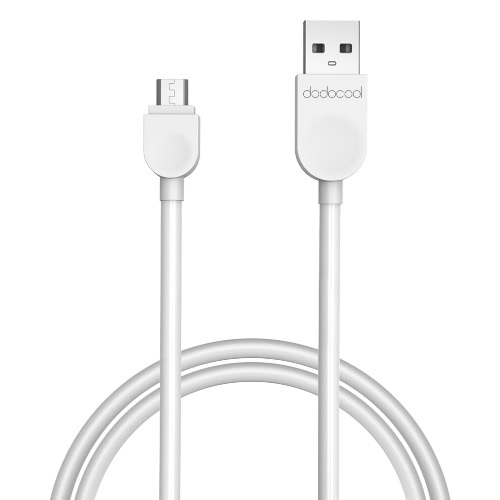 High-quality copper wires reduce the resistivity and ensure the charging efficiency and speed. The magnets inside automatically align the charging area with your Apple Watch and inductive charging begins instantly, providing easy and convenient charging and stable holding. 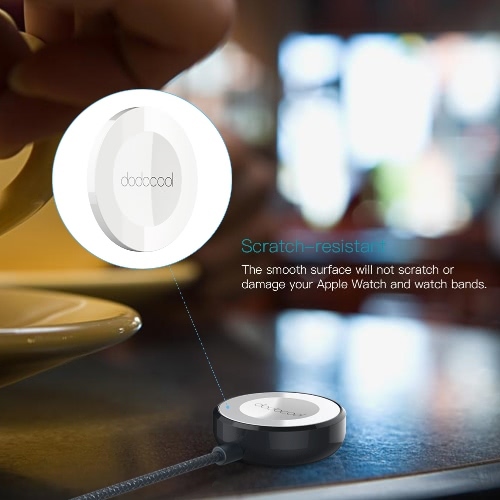 The smooth surface will not scratch or damage your Apple Watch and watch bands. It does not require the watch band to be removed or detached when charging your Apple Watch. 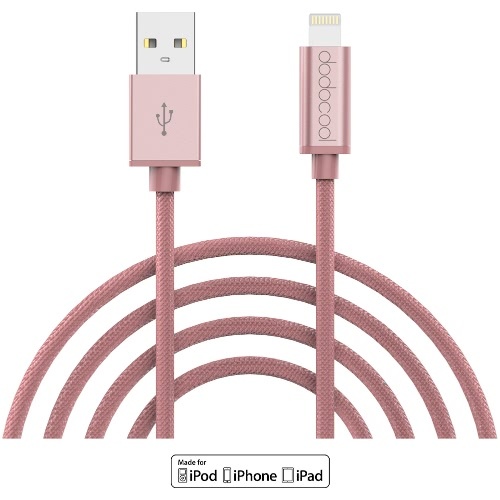 Premium nylon braided jacket makes the integrated 3.3ft USB cable abrasion resistant and easy to withstand more pulling and twisting, extremely flexible and tangle-free. 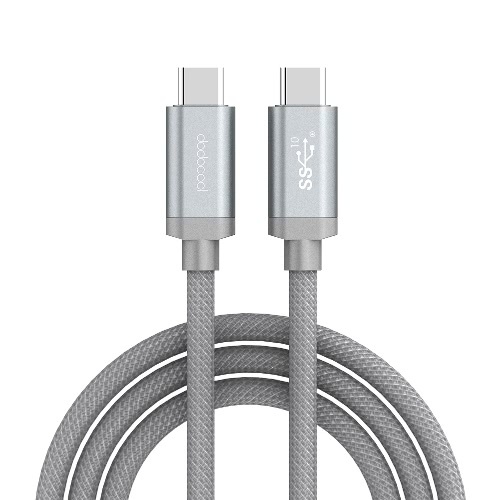 Premium zinc alloy housing ensures superior durability, dirt resistance and shock resistance. To provide maximum stability, it is slightly bigger than your original Apple Watch magnetic charging cable. 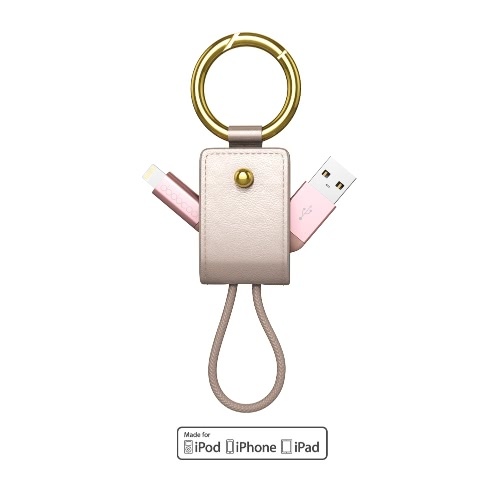 It can be easily put into your portable carrying bag or even in your pocket. 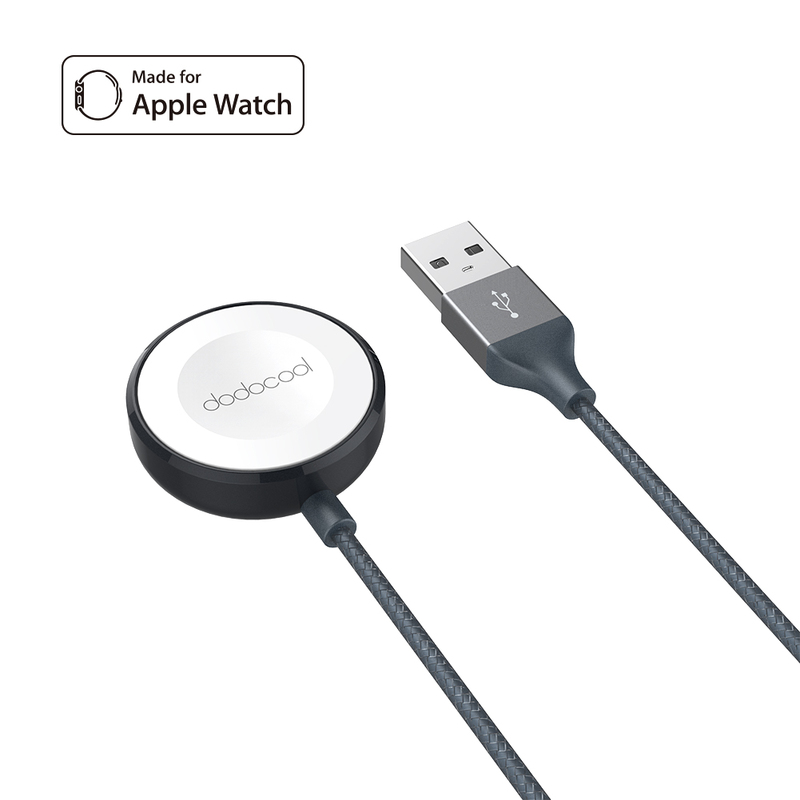 Note: Apple Watch, the USB power adapter or other accessories are not included.